Year in, year out, Hollywood studios tend to call upon ceremonies like Sunday’s MTV Awards as a way to drum up excitement for their oncoming summer tentpoles. And 2017 is no different. New Line is one such studio that has already hopped on the bandwagon, after confirming plans to conjure up an all-new promo for Andy Muschietti’s It reboot. It’ll surely offer another peek Bill Skarsgård in the role of Pennywise – providing you’re not cowering behind the sofa, that is – but if you lean more toward Hollywood’s blockbuster action scene, don’t worry; Sunday’s MTV Awards will also herald new footage for Transformers: The Last Knight. 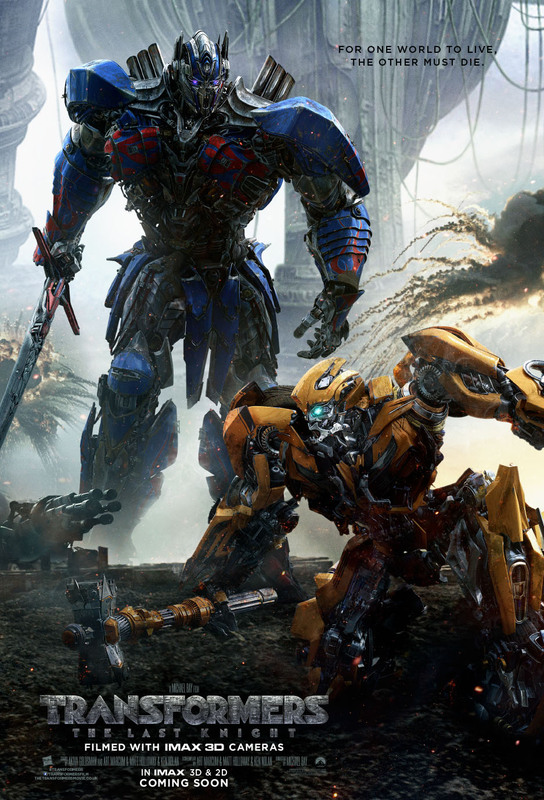 Michael Bay’s marquee sequel is not only the fifth entry into the series, it’s also set to bring about a fresh start for Paramount’s effects-laden juggernaut, and in keeping with tradition, Bay continues to tease that this is, in fact, his final outing at the helm of a Transformers movie. One way or another, The Last Knight is arguably one of the more ambitious entries into the series in that it circles back to Arthurian legend and the knights of the roundtable, with Optimus and Co. searching for an ancient artifact to restore Cybertron back to its former glory. Beyond that, story details are being kept stowed away in the vaults of Paramount, but we’ll surely have a better understanding of Bay’s soft reboot come Sunday. Soon after forging a writers room, Paramount began drafting up a future timeline and, according to series mainstay Michael Bay, the studio is currently in possession of 14 – count ’em, 14! – pitches for Transformers spinoff movies. Whether Bay returns to helm a standalone pic, though, is another question entirely. “For one world to live, the other must die.” Transformers: The Last Knight touches down in theaters across the globe on June 23rd.